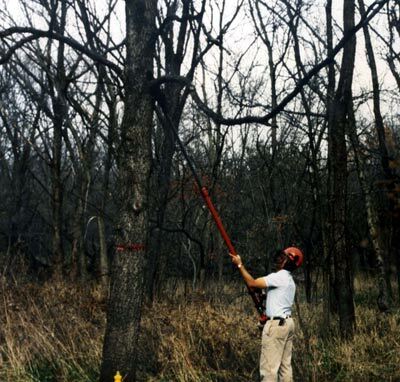 Timber stand improvement or crop tree release is the practice of choosing the crop trees to be released and removing the trees competing with it. Once the crop trees are released they are free to grow at their full potential. At this time undesirable trees and vines are removed from the woodland to improve and increase its productivity. When the competing trees are removed from the woodland the remaining trees have an increased amount of light which translates into more flowers which produce acorns providing more wildlife food. The increased amount of light to the forest floor allows the acorns to become trees, which means more cover for wildlife.